Don't like plain kefir, even though you know it's good for you? Well, I have some people like you in my family. 😉 So I've been on a mission to come up with fun and yummy ways to eat kefir. Now, onto the yummy ways we've been eating — and loving — kefir. This is much like yogurt cheese, where the whey has dripped out, leaving a thicker consistency that is spreadable like cream cheese. Simply line a stainless-steel colander with fine cheesecloth or 100% cotton fabric. Put the colander inside another pot. Then carefully pour kefir into the cheesecloth-lined colander. The whey will begin to drip out. Tie up the ends of the cheesecloth to keep bugs and dust out, but leave it lying in the colander for about 1 hour. Then tie it better, and hang it so the kefir is suspended over the colander. Let hang for about 24 hours — until it has a thick sour cream consistency. You can retrieve the whey from the first couple of hours and use it for soaking grains or lacto-fermentation. Older whey will have a stronger flavor, but it works too! After 24 hours, take down the hanging bag and scrape the kefir cheese into a storage container. Rinse the cloth with cool water, then wash in a high heat cycle or boil to sanitize for next time. Season the kefir cheese with herbed seasoning salt, herbs, or anything else you fancy! Then spread on bread, biscuits, etc. The secret to this probiotic potato salad is the kefir used in the dressing. It is a tangy, delicious potato salad that everyone in my family loves! Use in place of yogurt in yogurt-based salad dressings. Experiment with adding it to other salad dressings. Here's a recipe for Probiotic Chocolate Ice Cream, featuring — you guessed it — kefir! Try my chocolate kefir smoothie or summer fruit smoothie. Use the kefir smoothie (#6) mix to make popsicles (tip from Annette of Sustainable Eats). My friend Amy suggests using an ice cube tray and toothpicks if you don't have an official popsicle tray. Make a kefir parfait, using kefir as you would yogurt and top it with soaked/dehydrated nuts and seeds, soaked/dehydrated oats, dried fruit, cinnamon, fresh fruit, and a drizzle of raw honey or maple syrup. Yumm for a snack, as a salad, or as breakfast! What about you? What fun ways have you found to use kefir? For more on both dairy and water kefir, plus what you can do with them, see Traditional Cooking School's Fundamentals, Lacto-Fermentation, and Cultured Dairy eCourses! The popsicle idea is great. This summer I have been using small paper cups when making popsicles. I cut straws in half and use that for the handle, or you could us popsicle sticks. You can’t re-use the paper cups, so that is somewhat of a waste, but the popsicles turn out to be just the right size. Saw your link on Food Renegade – I’m so excited about trying the probiotic potato salad! I don’t have kefir cheese, but I have some yogurt cheese in the fridge. My husband loves potato salad but I haven’t made any lately as my first attempt at homemade mayo did not turn out so good (too runny, too much coconut taste). Thanks! .-= The Working Home Keeper´s last blog post… From the Market =-. Hi, Mary Ellen – Hope you and your husband like the potato salad – it is not like the typical potato salad, but really good! I also use the dixie cups for our freezerpops. For the handle I use plastic spoons. I use the spoons over and over. Most popsicle containers are too big, so I like the dixie cups. I have seen another set, I’d like to try. Just need to order it. It uses the wooden sticks, which I like too. The chocolate kefir smoothie sounds oh so yummy! 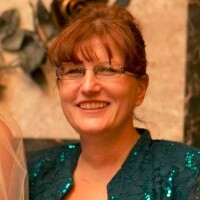 .-= Michelle´s last blog post… Crime Doesn’t Pay =-. I have only made smoothies with kefir but they are oh so yummy! .-= Sarah Schatz – menus for limited diets´s last blog post… Tuesday Twister: Our weekly gluten-free, dairy-free, legume-free menu plan and the miracles of our garden =-. the picture looks delicious and I can’t wait to try it out myself. .-= kefir grains girl´s last blog post… Benefits Of Wheatgrass For Your Pets =-. The potato salad sounds delicious, and I’d like to try the ice cream! This question is totally unrelated to Kefir, but I need some advice. I made sprouted wheat over the weekend. I usually make about half as much as I made this time. So my baking sheets that I put the grain on to dehydrate in my oven are very full and about 1- 1 1/2 inches deep. Well, for some reason the grain smells really bad! My kids say that it smells like stinky feet. I don’t know if I didn’t rinse them good enough before spreading it out in my pans, or what? Do you have any suggestions? Has that ever happened to you? I did sprout a little bit differently this time. I usually keep the grain submerged in water the whole time. This time I soaked in water overnight then just kept them damp for about another day. Tiffany – if they smell bad, I think you should toss them. However, is it a sweet smell? My grains most often will give off that a sweet smell – just like if you sprout barley to make diastatic malt. If it is sweet, I wouldn’t worry about it. But if it is off, I would. Why do you sprout submerged in water the whole time? I would think you’d risk drowning your seeds that way – and would recommend you soak only overnight and then sprout while damp for about a day to a day and a half. Did you rinse at least every 12 hours while they were out of the water but damp? If the temp is warm, three times a day rinse is almost mandatory to prevent spoiling. I’m off for the day, so won’t be back here until this evening, in case you have other questions. Thanks, I knew you would have the answer for me. I don’t really know why I was sprouting submerged in water. I am pretty sure I didn’t rinse the grains enough, as it was hot. Ugh!! I lost about 12-16 cups of wheat. Bummer, but a good lesson learned anyway. Thank you for this! I’m on a quest to find *some* way to consume kefir. I hope to try your potato salad recipe soon! .-= Mindy´s last blog post… Do-It-Yourself…? =-. What a wonderful site you have here! Our ice cream maker is a Sunbeam model 4744. The recipes that came with it were very simple: 2 cups heavy whipping cream to 2 cups whole milk, plus whatever flavoring we wished (fruit, chocolate syrup, raisins, etc.). The rule is to fill the ice cream maker to about half its capacity or a little more (too much and it will overflow). So we kept it simple and just threw 4 cups of raspberry kefir in the ice cream maker, didn’t add anything else to it, and it came out like a very nice and tangy sherbet. Everyone liked it, not only the lactose-intolerant folks. 🙂 Hope this helps! Mary – Great info! Thanks for sharing what you did. So you didn’t use any sweetener beyond the sweetness of the raspberries? Sounds delicious. Thanks — glad you liked it! Nope, no sweetener necessary, though I might try adding some next time just to see how much of a difference it makes. I mean is it possible that we eat Kefir grains? and if so is it useful or not? Sam – Yes, you can eat them! Most people don’t like them because of the texture, but I quite like them. Like a sour gummy bear. 😉 They’re really good for you — all the organisms of the kefir in a high concentration. I have found that Kefir really helps with Calcium absorption. Sometimes I just stir some molasses and drink it (molasses also a good source of Ca). Before I go to bed I drink a cup of kefir — straight up. My older but still very active mother also enjoys Kefir very much (great drink for a senior citizen) she says she has more energy, or maybe she just feels more alive! When I first set her up with the Kefir in a mason jar — she told me she needed more curd grains because she had very little curds left…..
LOL….It is okay to eat the grains but – it is important to reserve some to continue the keifr cycle. 2) Add milk to jar,about 1-1/4 to 2 cups. 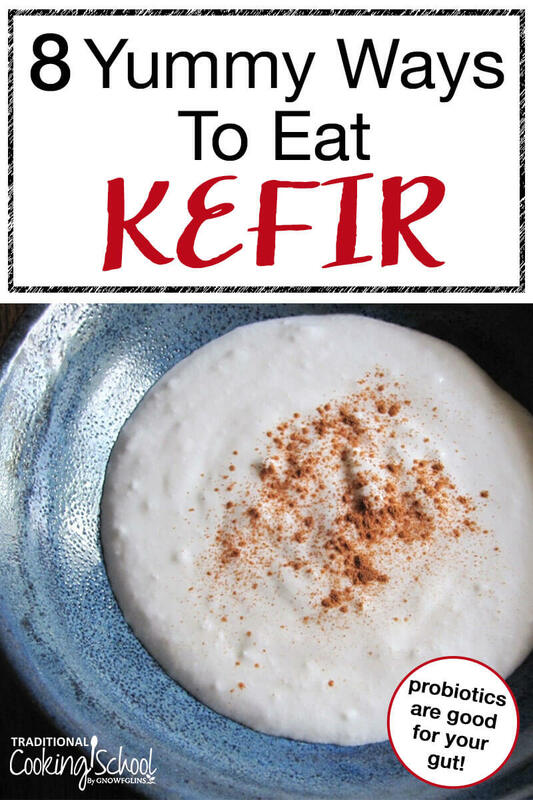 5) When kefir milk is ready,stir & then pour milk & grains slowly into a strainer or colander over a bowl, gently separate the grains from the kefir milk — do not smash grains. Give the straight stuff a chance. It grows on you. It’s important to let it ferment without the grains for an additional day or two. That changes the taste a fair bit and the texture. It becomes much thinner, less fatty, more nutritious, and sparkily. Very similar to sparkiling lemonade, but much more satisfyling. The other thought is to just dump some over fresh fruit. Mango, or berries go great with kefir. I stored mine in the freezer inside a mason jar full of milk. They were great when I thawed them. 1) the grains (little balls) are used to make more. 2) The liquid is whey, which I do not yet know how to use. 3) The yogurty part would then be the kefer…but Can I just sit and eat a bowl of it if I like it that way? 2) You’ll have whey if the kefir ferments long enough. It spills out as the milk curdles more and more. A shorter ferment may not produce any whey. When you do get whey, you can use it in cooking, add it raw to smoothies, add to bread dough, feed to animals, use in lacto-fermentation as a starter culture. 3) Yes and yes. Or use in salad dressings, smoothies, drip through cheesecloth to make “kefir cheese”. Lots of things you can do! I leave the whey and kefir together and make a smoothie. I let the smoothie ferment another day in the fridge and it tastes like drinkable yogurt. The whey is very much like buttermilk and is especially good in a bread made with a sourdough culture. If you do not have a culture, mix 2 TBLS. pure warm pineapple juice (unsweetened) with 3 TBLS. flour or double each ingredient if you like and stir well, and cover with a paper towel held over an old clean yogurt container with a rubber band. Place in the oven with the oven light on. Leave in a few days until it doubles. Each time you take some out or at least every week, feed the starter with 3TBLS. flour and 2 TBLS. warm water. Only use the pineapple juice the first time, never again after that. I am a Cordon Bleu Chef and I used to teach in Portland Oregon at the Cooking School and we used this starter as I found it easy for my students to work with and keep alive. I collect starters and they are amazing and fun. Kefir is great for farmers cheese and cottage cheese as well as sour cream. Just don,t confuse the water grain with the milk grain. It is the most woderful sour cream replacement. Kefir as salad dressing. That’s a really good idea. I’m going to try it instead of yogurt. Thanks! I blended a pint of milk kefir with a handful of basil leaves, the juice from two lemons, and dried garlic, black seed and sea salt for the most flavorful dressing! It was perfect over shrimp salad and I will be making another batch soon! My favorite way is with corn flakes and honey <3 it's just divine! I love kefir with my homemade granola for breakfast. Sometimes I also drink it straight, or have made cheese (everybody loved it!) and mixed it with fruit juice to drink. So many ways to eat it! My friend made paneer with hers, an Indian cottage cheese. Great ideas, thanks. I love adding stevia and a little vanilla extract to my glass of kefir-delicious too! Kefir makes great ranch style dressing. Even my kefir hating children eat it like it’s good. Just use it in the place of the buttermilk. The cheese might work for me, if you didn’t tell me what it was till later and seasoned it (like homemade Boursin). I’m the picky eater of the family so I don’t eat potato salad, raw veggies, parfaits with fruit, or smoothies either. I’m doing good to eat yogurt and kombucha. I recently found the joys or organic kefir and I love it!! We are just in the smoothie stage right now but I am branching out and this post will help me greatly. Thank you Wardee. I make my kefir smoothies by blending a ripe fresh or frozen banana, natural peanut butter, stevia (and sometimes a bit of real maple syrup and raw oats), and a drop of pure, food grade peppermint oil. Yum! Question…. I break out with a really bad eczema rash when I consume too much dairy, so I try to avoid it. Would I have the same reaction to milk kefir? Or cultured butter or cream? You may or may not be able to tolerate cultured dairy. Some people can, some can’t. If you wish to try it, proceed with caution and a very small amount. Also, it’s important to note that some people are able to tolerate raw dairy that is cultured as opposed to pasteurized and homogenized dairy that is cultured. Thanks! I decided to give GAPS a try and will be starting next week. I’ve been doing Whole 30 for the past 3 weeks with a coworker to get off dairy, grains and sugar. Since starting, I’ve had major die-off symptoms, mainly a red, scaly, and very itchy rash on my hands and wrists. I tried to refrain from using the cortisone cream, but it was so bad, the skin was cracking and bleeding. So I plan to use it every couple of days until I finally get rid of it. I use kefir to make my chia seed pudding for breakfast. I just replace the milk in the recipe. It’s delicious and a great way to start the day! I make a mock beef stroganoff using the kefir as the sour cream and sometimes replacing the noodles with cabbage – it is always a big hit with everyone. I also make a mock fettuccine with alfredo sauce using the kefir in place of the cream, and our own cultured butter. In fact I’ve never made the real versions of these dishes. I’ve even added kefir to my own cheese sauce for mac ‘n cheese. I always try not to cook the kefir, just add it at the end after the heat is turned off. I’ve been making kefir orange juice for a long time . Its a way to get family to drink kefir . Take frozen o j and mix with kefir instead of water . My super picky, cynical husband will drink kefir I’ve let sit another day after straining out the grains and adding a 2-3” strip of orange rind. After 24-48 hrs add a few drops of vanilla and a little maple syrup or stevia. Tastes a bit like a creamsicle. I love to boil some good chai mix in a bit of milk and wate and steep as I usually do, then strain and stir the cooled chai into sweetened kefir and sometimes a little vanilla, too. Now that I’ve read the suggestion about chia pudding I plan to try it using chai kefir! Thanks! Hi, I’ve just been given some kefir grains. After an initial 24 hours ferment, I strained the kefir into a jar and used the old grains for a new batch. The jar of kefir I left out for another 24 hours (as this is what my friend said she did). The kefir has separated into whey (clearish liquid) and what i assume is kefir (white thicker liquid). Do I stir these together and drink? Or am I to separate the whey out somehow? Thank you!! It sounds like your kefir fermented a little too long if it separated. It would be best to discard this batch and strain out your kefir grains to start a new batch. Try a shorter fermenting time, and see if you have better success.